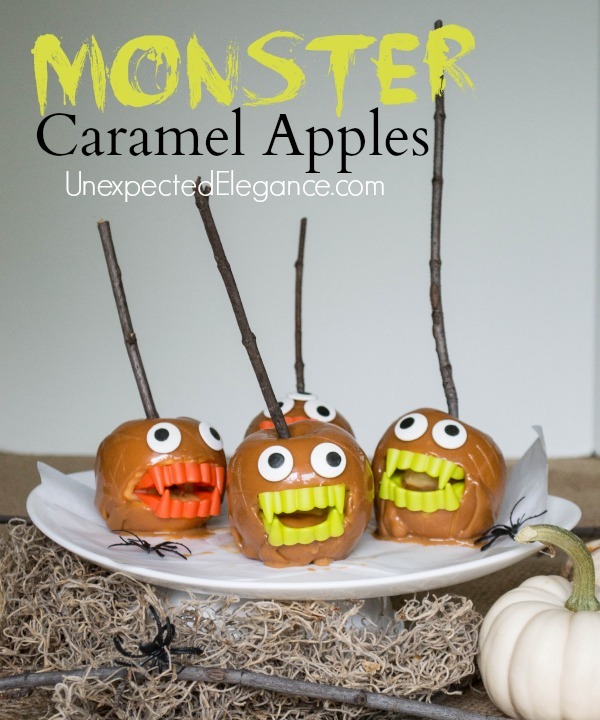 The girls also thought these MONSTER CARAMEL APPLES were “awesome” …. 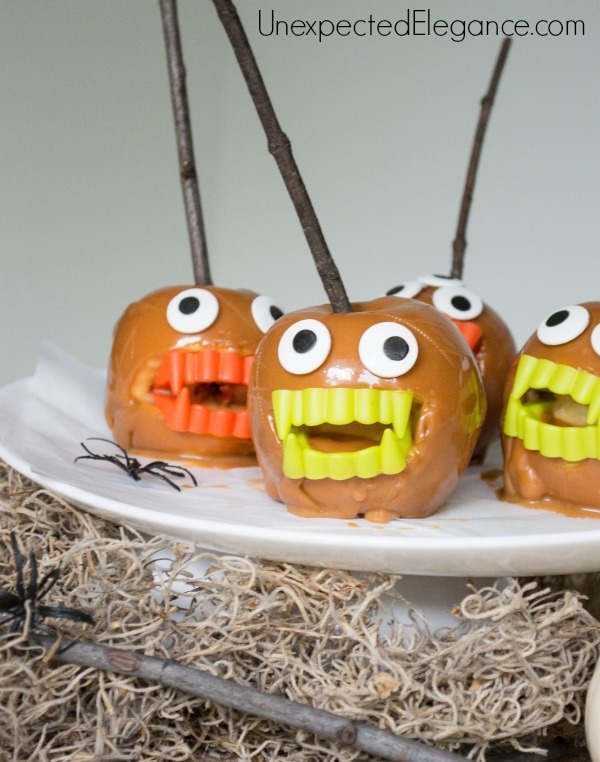 So here’s another fun and EASY Halloween craft that takes less than 10 minutes to make. 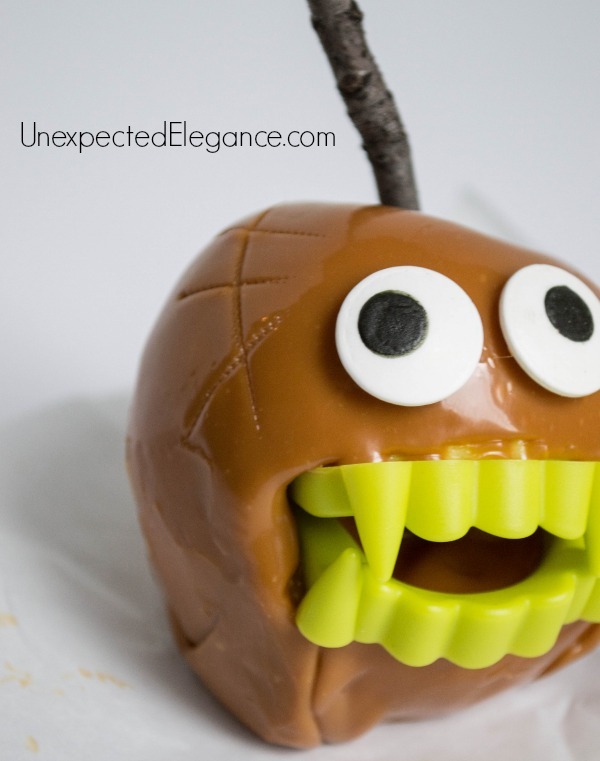 Ingredients: Caramel Apple sheets (found in most grocery stores near the apples), candy eyes, sticks (either from your yard or the package includes them), plastic “fangs”. 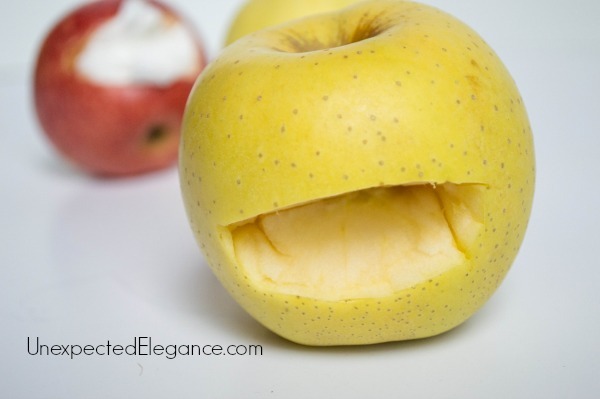 Start by washing the apples and cut out a mouth with a sharp knife. 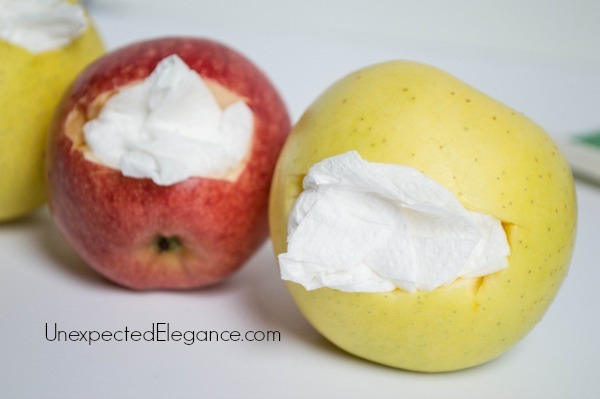 You will need to dry this portion of the apple out a little, so use a clean paper towel. 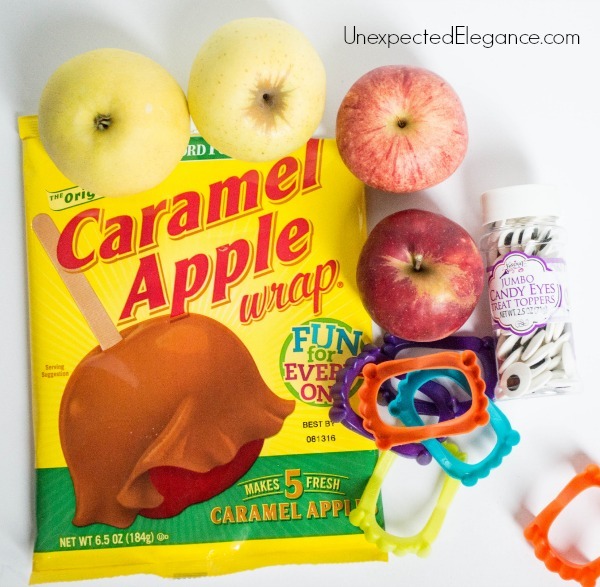 Cover the apple with a sheet of caramel, make sure you press it into the mouth portion. Place in a 200 degree oven for 4-5 minutes. My sticks were extra long, so I added them after they came out of the oven, but if your’s are smaller you can do this step before “cooking” them. If you are using sticks from your yard, wash them with soapy water before using. 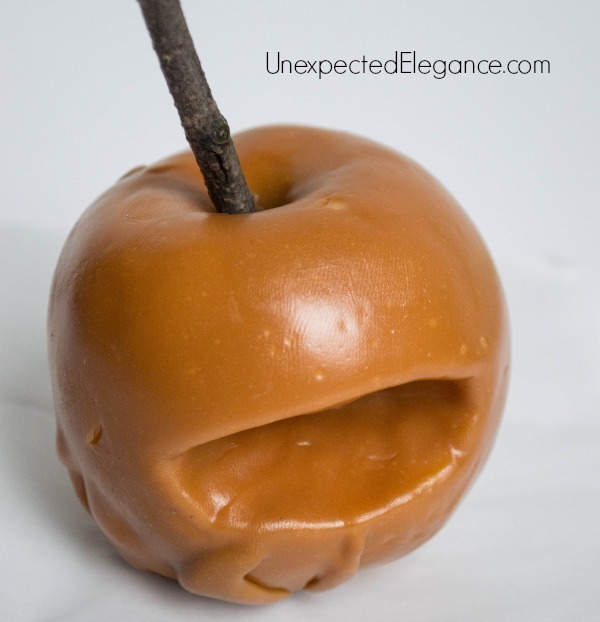 The caramel will be slightly sticky when it comes out of the oven. Place the eyes and the teeth in inside the opening. You might have to force the teeth, but that will help it stay a little better. I also added some scars using a serrated knife. 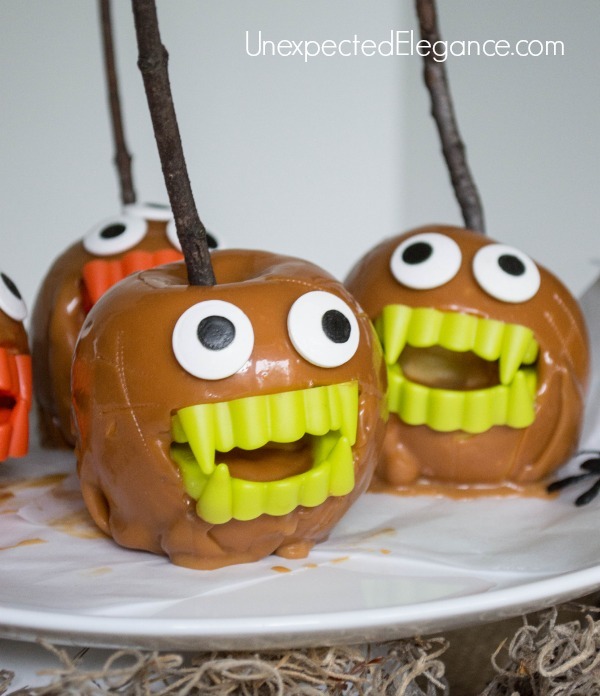 These were extremely easy to make!! 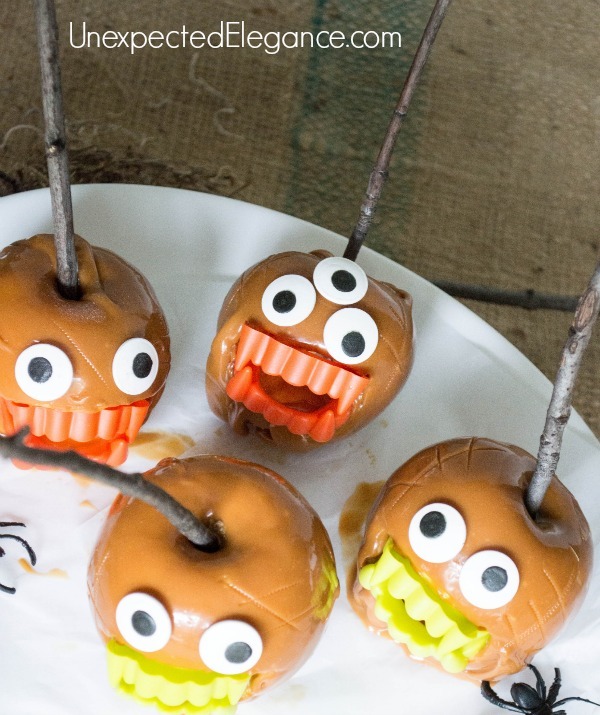 Since the apples are cut I would make these on the day you plan to eat them. They were still good the day after but I wouldn’t expect them to last more than 2 days. « HOUSE GUEST SEASON | Tackle the Bathroom in JUST 15 minutes!